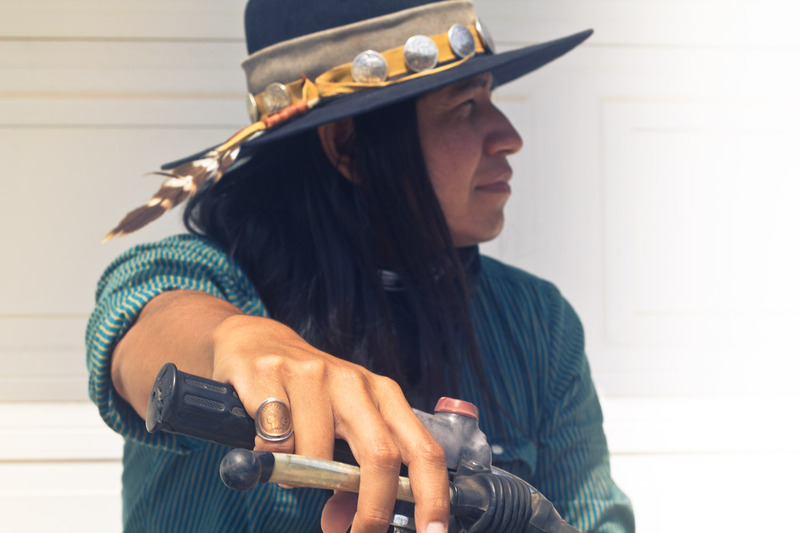 Mini photoshoot with artist Lehi Sanchez (aka Thunder Voice Eagle) wearing his new MotoLady + Silver Piston Indian Head Penny Ring! New Blondezilla DualSporty Tank Tops! 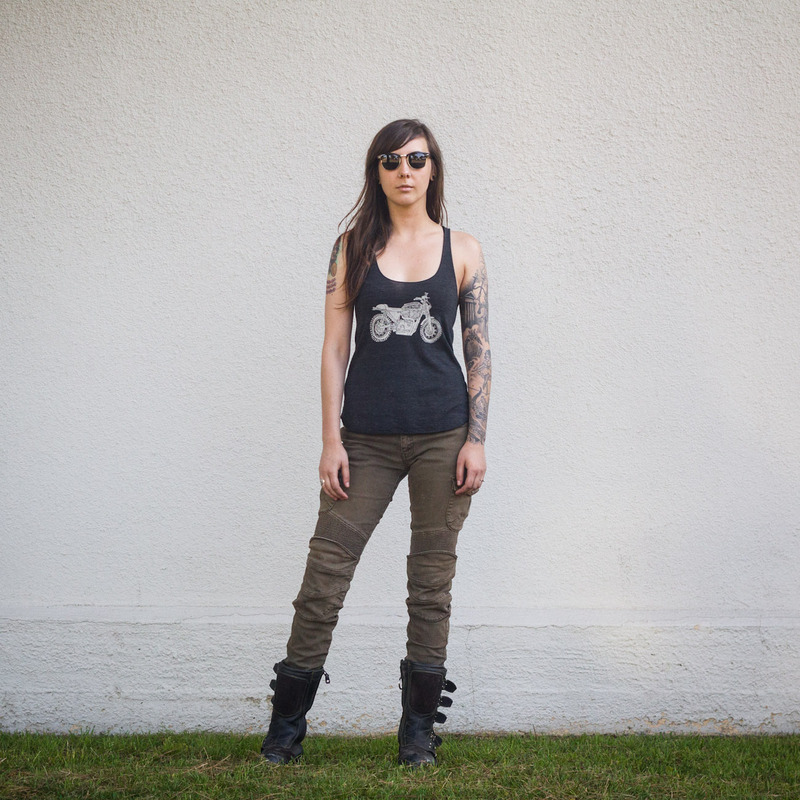 Jessica Van Dusen models the new MotoLady Blondezilla DualSporty tank tops featuring artwork from Killer Bee Moto. 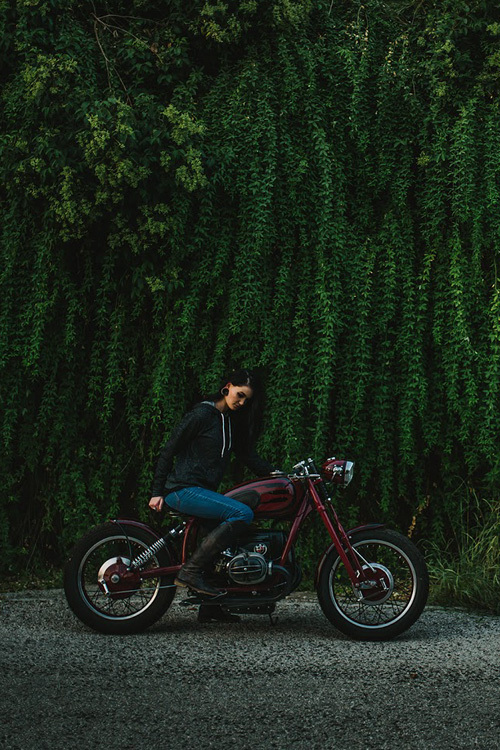 Exclusive images for GT Moto’s new apparel launch by talented photographer Brandon LaJoie. 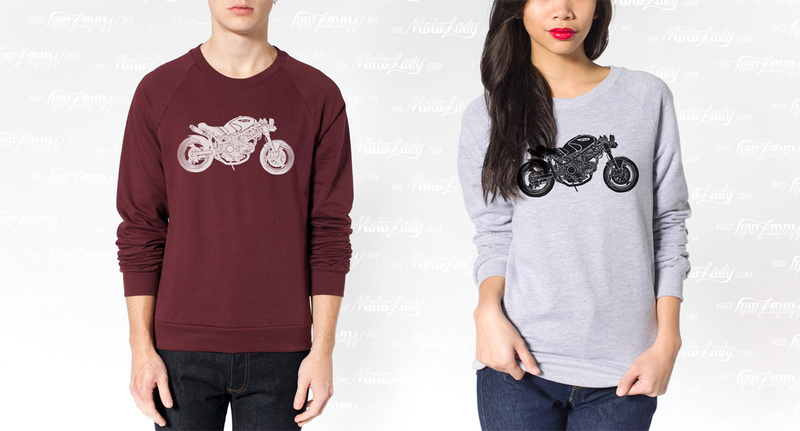 New MotoLady Monster sweatshirts from the Killer Bee Moto + MotoLady collaboration just hit the shop! Super comfortable California Fleece raglans in navy, black, truffle, and heather grey. 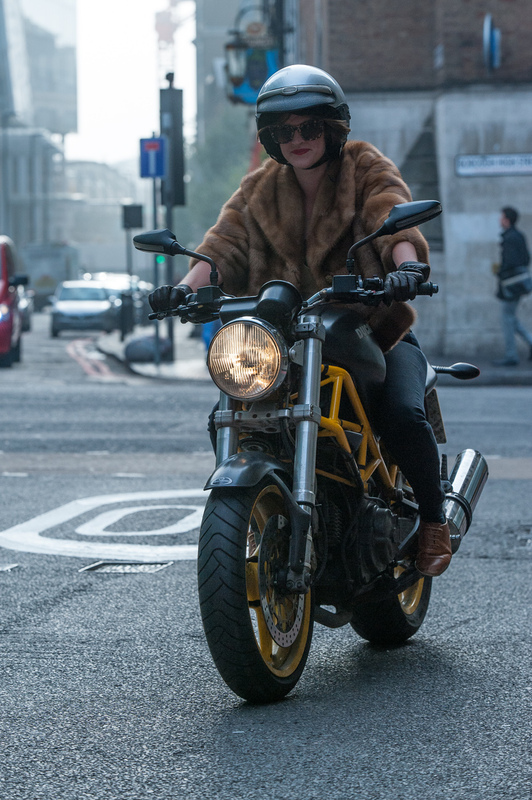 Here’s a look at the lady riders of London’s Distinguished Gentleman’s Ride. Manuela Raffaeta posing with the 1974 BMW R90S that made superbike history at the BMW museum in Munich. 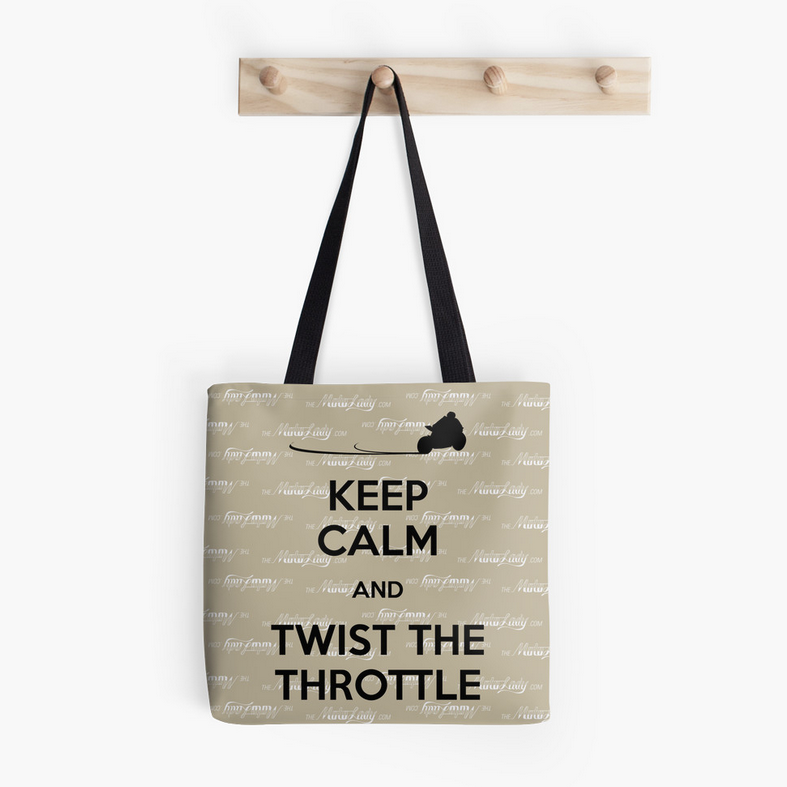 Now that’s a tote bag we can all appreciate… Keep calm and twist the throttle! 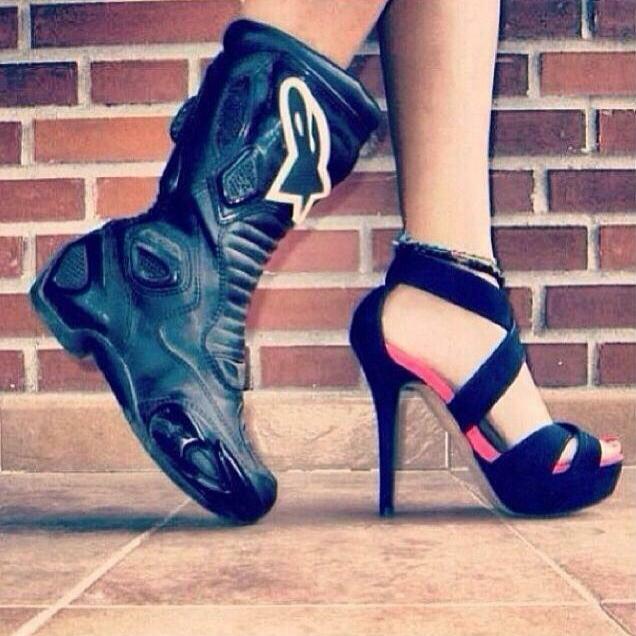 Polina Dessinova- A study in the footwear choices of women who ride… by day, and by night. 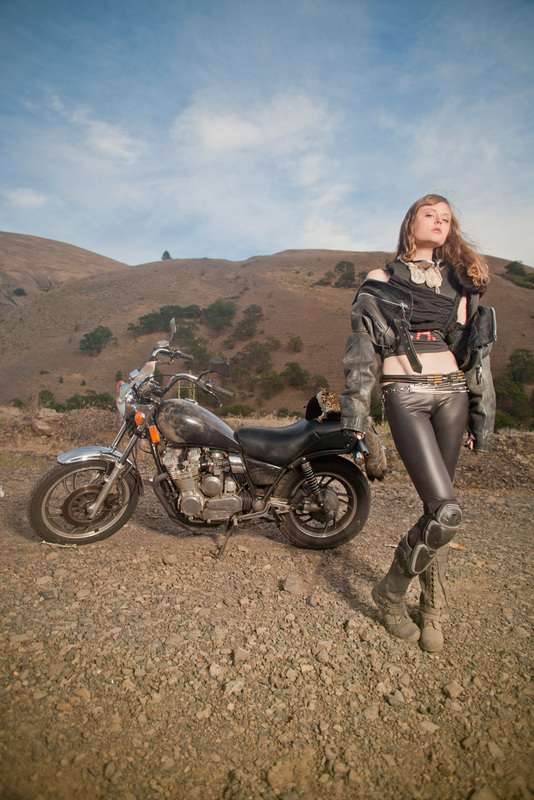 One of my favorite shoots featuring my first motorcycle and model Skye Velten out in Eatern Oregon- heavily inspired by Mad Max. 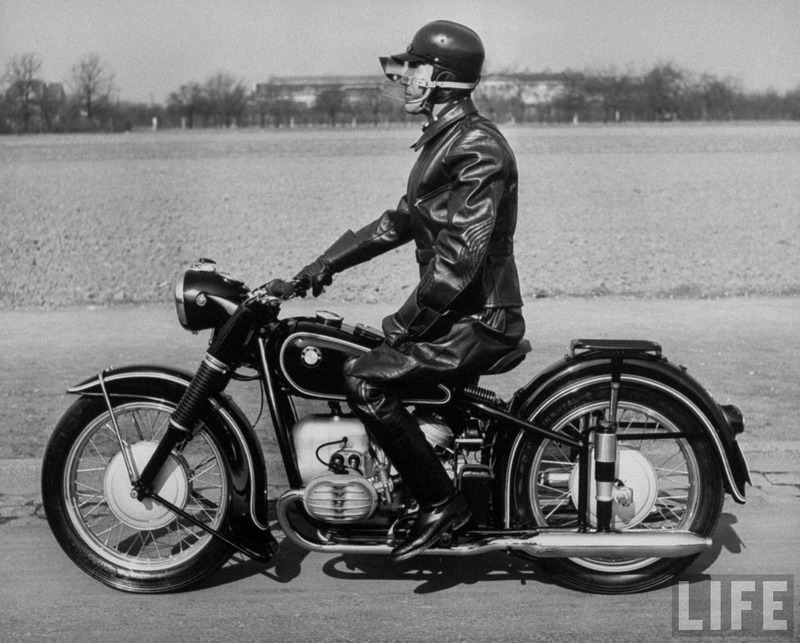 German motorcyclist with his BMW (probably an R67/2 or R51/3) in full leathers, sporting a very fascinating face shield.